What Do you Do with a Fireplace in the Summer? Fireplaces are considered one of the most important features of the home and often work as the focal point of any type of room. In the winter, they’re used on a frequent basis to heat the interior space and create a cozy environment. They can also be used as a decorative accent when they’re burning to enhance the aesthetics of the home. Although the item may not be used in the summer, there are a number of ways to continue enjoying it until colder weather arrives. The fireplace can continue to contribute to the decor of the home and stand out as a beautiful feature during the summer season with Fireplace installation nj. Consider decorating the inside of the structure with a number of different candles that can be lit at night. You can also fill it with stacks of books or flower vases for a contemporary look that embraces the warm weather. Other ideas include placing a decorative trunk inside of the fireplace or filling it with various plants to liven up the room. Consider rearranging the mantle or adding an oversized mirror to reflect the natural light that pours into the room during the warm season, which will open up the space. The summer season is the perfect time to clean the fireplace with the help of a professional chimney sweep. This is also the ideal time to have the structure inspected to identify any leaks that may be present or to determine if the flashing needs to be replaced on the roof. 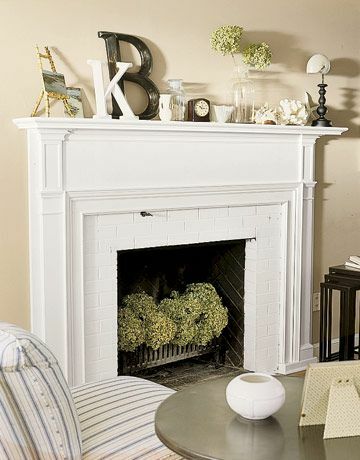 This can all be performed in one visit to prepare the fireplace for the fall season and ensure that it continues to work efficiently once its in use again. When the fireplace is not being used during the summer season, you can purchase a fire screen to protect the interior space from the room. This will block it off and prevent it from being in use as the outside temperatures begin to rise. Use a glass fire screen for a modern and sleek appearance or consider using a metal screen for a rustic look that is more traditional. A screen that is in place will also prevent pets or children from playing inside of the fireplace when it’s unoccupied.